31 front squats, 45-55 lbs. 100-meter single-arm kettlebell farmers carry walking lunges, 25 lbs. 31 hang power cleans, 45 lbs. In honor of Cpl. Luke Tamatea, 31, of Kawerau, New Zealand, who was killed by a roadside bomb on Aug. 19, 2012, while serving with the New Zealand Defence Force in the Bamyan Province of Afghanistan. Tamatea was posted to 1st Battalion Royal New Zealand Infantry Regiment and was serving his second tour in Afghanistan at the time of his death. He is survived by his wife and 4 daughters. Good job Mamas! You are nearing the FINISH LINE! 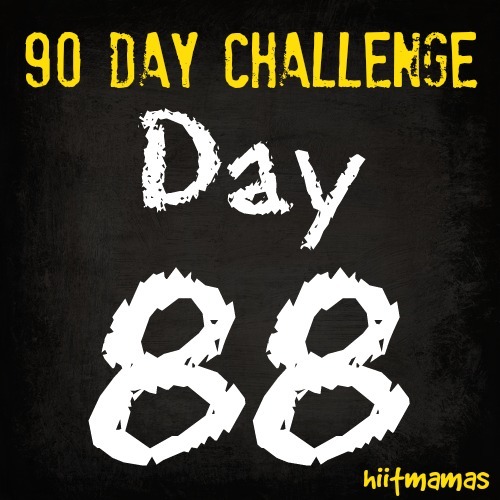 We will have Day 90 on Monday and do our 5K run. 21:45. Subbed leg lifts on ground for toes to bar. Gpu, 20# kb, 45# squats, 30# cleans.